Ghost orchids (Dendrophylax lindenii) are rare. Not only are they shaped differently from most flowers, they are also endangered. 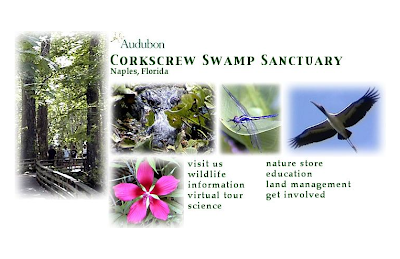 This is why it was a pleasant surprise to find one growing on an old cypress tree in the Corkscrew Swamp Wildlife Sancuary in Naples, Florida. It was spotted with nine magnificent flowers, the size of the hand, by visitors who were on the lookout for owls. It was 45 feet over the ground and had a mass of old root growth which meanth it had been there a long time. Park Manager Ed Carlson says it must have been hidden by leaves since it blooms in June and July when cypresses are leafed out. "We've just never seen it before," he says. The ghost orchid blooms for only two weeks, so if you want to see it, you'd better get to the sanctuary before it wilts. It is the first ghost orchid discovered in the park in 12 years. 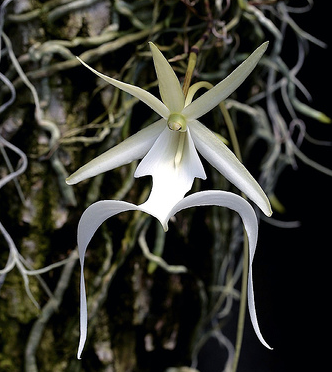 The ghost orchid is featured in the movie "Adaptation," which was inspired by the novel "The Orchid Thief." Learn about the amazing hair cleansing and conditioning properties of the oil from the flower of the shampoo ginger (Zingiber zerumbet) plant. Click here.